The most powerful, all natural supplement available; recommended by leading veterinarians! 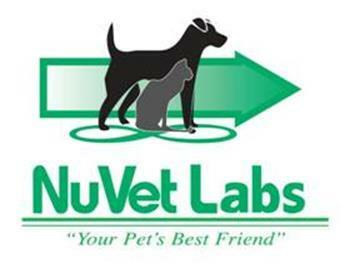 NuVet Labs� Goal is to Help Increase Your Pet's Longevity and Quality of Life. NuVet products help put pets on the �path to perfect health� and support their development through every stage in life. 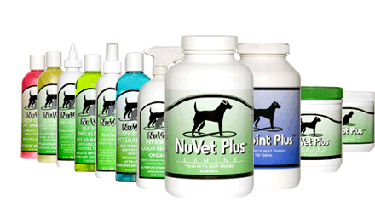 Thousands of the nation�s top veterinarians and other pet industry professionals use NuVet Plus� for their own pets and recommend it to their clients� pets! NuVet Plus - A Taste Pets Love! Made with Real Chicken Liver. "I have a 5 year old Goldendoodle that I adore and will do whatever it takes to see that she lives as long as possible� I have not had to take my dog in for any ailment whatsoever since the day I got her at 8 weeks old. My vet is amazed at Easton's track record and thinks the proof of the effectiveness of the supplements is in the level of health she has maintained for 5 years straight."